Island Glow provides luxurious day spa treatments and high quality products to nourish the body and soul. We offer a full range of relaxation massages, beauty treatments and hair / make-up styling to indulge all the senses. From body wraps and scrubs through to massage, facials and pedicures, we aim to offer our clients a unique and warm experience at our Day Spa. 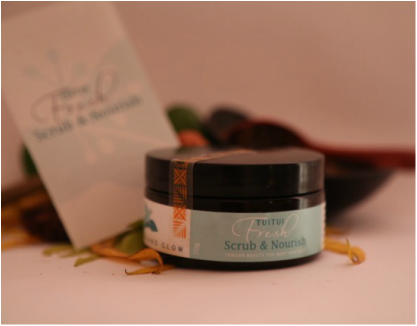 We also craft traditional Tongan skincare products to share timeless traditions in a contemporary context. Island Glow have partnered with Pure Fiji to provide the best of local and Pasifika massages, facials and beauty treatments. Download the new menu and price list here. Our Hair and Make-up Salon specialises in making you shine. Consider us for your wedding, graduation, or special function and we can bring out your best version of you. You can download our salon menu and price list here.